This place has been on the decline ever since it opened. Primarily because of the arrogance and out right rudeness of the male waiters. Tonight, I asked for a menu, and a young white waiter in a denimn shirt tossed me a menu. I set the menu down for less than one minute, and this shorter waiter picked it up, and tossed it behind himself. I was not the only one I saw him do this to. The male staff have an attitude thatthey are just too good to be a well trained waiter. The waitresses are more kind and helpful. The only male there that had any manners and class was the white male, with tatoos, at the entrance door. I will never go back to this pretentios bar. I feel sorry for the workers who have and demonstrate class, such as this young man at the main door. I was completely impressed with Autumn Grove Cottage. It's clean, lovely, and the philosophy of care is pretty unique compared to other places. The staff is caring, competent, and engaged with the residents. The rooms seemed appropriate in size. I visited AutumnGrove Cottage The Heights and saw that the place was very good. The staff seemed very attentive to the residents. The Director or Manager who toured us was very knowledgeable. Our mother lived at Autumn Grove Cottage - Heights for the last 1 1/2 years of her life. Prior to that she had in-home care and residence care at an assisted living facility. Care givers in the previous arrangements tried, they really did. The reality is Dementia and Alzheimer's patients require a specific kind of care and we found that at AGC-Heights. Before her mind was ravaged by dementia, our mother was a pleasant, easy-going woman; not so for the final decade of her life. Mom became hostile, anti-social, impossible to please, and down right vulgar. I never once observed any staff member loose patience with her. The facility was always clean, and cheerful and the staff warm and caring. I personally witnessed the director cry with the family of a long-time resident as she neared the end. One can't ask or expect more. Autumn Grove Cottage is a fairly small community. They only have 16 clients and they have their own private rooms. It's fairly expensive though, but it fits all our needs. The outside was very nice. It's built in an old Victorian style home and not that sort of clinical box. They have lots of trees and it felt very homey. I like the staff a lot as they are very good and I feel that she is getting good care there. Mom says the food is good and she is perfectly happy with the place. I absolutely would recommend this facility. 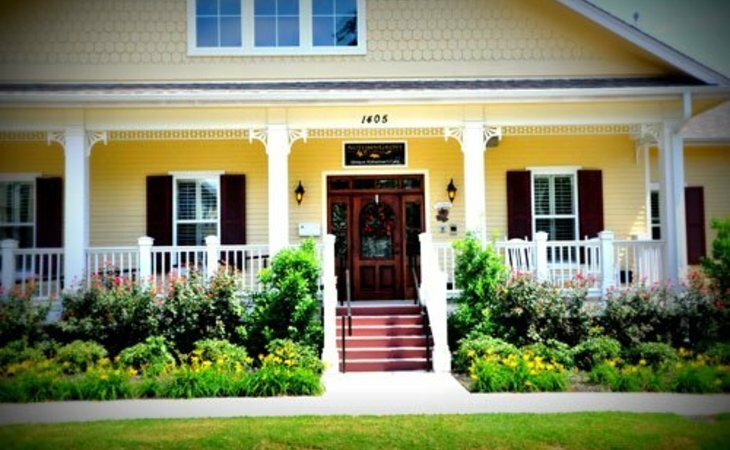 What should caregivers and potential residents know about AutumnGrove Cottage The Heights?